A new concept in visual communications! These Lightning Projection Whiteboards are guaranteed for the lifetime of original installation.These whiteboards have outstanding writing qualities and allow simultaneous projection and writing for truly integrated multi-media presentations. 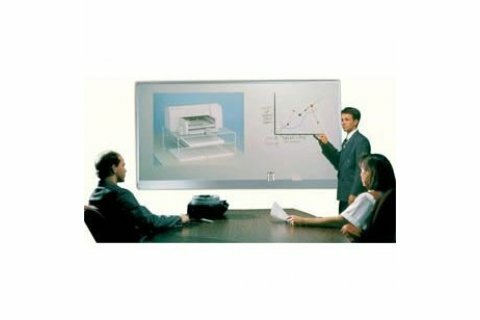 These Projection Board/Whiteboards make a perfect addition to any classroom or training room! 1/2" porcelain steel marker boards. Can be used with the following media: dry erase markers or chalk.